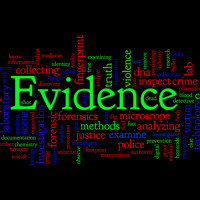 Using the right medical evidence in your personal injury lawsuit can be extremely important. One recent New York car accident case shows how crucial it can be to find an attorney who can successfully use the medical evidence at issue to prove that you deserve to have your claims heard in court. The case, titled Hazel v. Colon, was an appeal from a trial court’s denial of the defendant’s motion for summary judgment. First, a bit of background on summary judgment as it relates to car accident lawsuits. Motions for summary judgment allow a party to a case to have either some or all of the claims against them resolved without trial or dismissed from the lawsuit. The party making the motion has to present some evidence that, based on undisputed facts, the other side of the lawsuit has no legal basis to win. If the opposing party can show that those facts are disputed with credible evidence to the contrary, then the motion should not be granted. While plaintiffs sometimes file motions for summary judgment where cases seem to clearly indicate liability on behalf of the defendant, motions for summary judgment are normally filed by defendants as a way to further delay paying any compensation to the victim, and to avoid the expense of going to trial. There are multiple definitions of what constitutes a serious injury, including death, dismemberment, and the so-called “90/180 day rule.” Where a victim can show that an injury received in the accident prevented the victim “from performing substantially all of the material acts which constitute such person’s usual and customary daily activities for not less than 90 days during the 180 days immediately following the occurrence of the injury or impairment,” then the victim will be permitted to bring a lawsuit to seek compensation for those injuries. Arguments in such cases often center on the degree to which the plaintiff truly was unable to complete daily activities, or, as in the case at hand, whether the victim had a preexisting injury which was truly to blame for the impairment, which would also prevent the plaintiff from pursuing a lawsuit. The case of Hazel v. Colon involved an auto accident in which the plaintiff, Sandra Hazel, allegedly received injuries to her knee and back. The defendant filed a motion for summary judgment claiming that, according to the expert they hired, the plaintiff’s knee injuries were the result of a degenerative condition and not the accident. However, the plaintiff’s attorney reviewed the report of the doctor who conducted the surgery on Hazel’s knee, and in it found a statement from the doctor that the damage to the knee was caused by trauma related to the accident. The court found that, while the answer to whether the defendant could be held liable was not yet clear-cut, the plaintiff had the right to pursue her claims in court, offering her an improved chance of receiving full compensation for her medical expenses and pain and suffering. If you have been injured in a car or truck accident in New York, make sure you secure legal counsel who will diligently and zealously pursue legal claims on your behalf by contacting New York City personal injury attorney Leandros A. Vrionedes for a consultation on your case, at 212-889-9362.